The freeway for the electric and hybrid car need not be the highway we are used to.There is no reason why it might not be encased in landscape when the view out is less than appealing: concrete noise barriers or the back of suburban areas or some of the more hostile industrial areas of our large cities.There is no reason why the drive to work need be monotonous…and why the landscape views might not be considered in the same way as a promenade through a garden. We should take advantage of what nature provides and the cultural landscapes we have created. 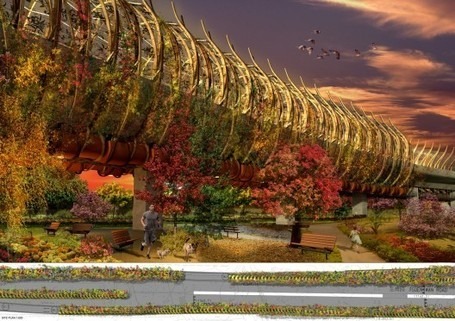 This entry was posted in Garden Design and tagged highway design, landscape design, Sustainability on 7th May 2013 by Christine.